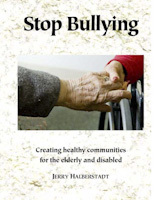 The main way to understand what conditions permit or inhibit bullying is to ask How and Why? through qualitative research: observing, listening, and comparing. The main way to understand prevalence is to ask How many? and count, or estimate through a sampling process, the number of locations with bullying and compare it to the total number, which for public and subsidized housing in Massachusetts, is 1,400 residential developments, with over 92,000 units. Prior research has identified a number of factors which may, together or separately, be correlated with the presence or absence of bullying. We are examining them in our ongoing research. The basic tool is to compare toxic situations with healthy communities in an effort to isolate factors that seem to make a difference. The committee will carry out interviews and observations with a special focus on landlords who establish healthy communities. We can compare and contrast these situations with communities that have become toxic because of bullying and mobbing. We invite your active help and participation. Legal and administrative protections of the rights of victims One of the conditions that can affect the possibility of remedying bullying and protecting victims is the availability of legal rights and remedies, and agencies that can protect victims and hold landlords to account where necessary. There is federal law against harassment under Fair Housing as well as under Mass. law that protects the civil rights of all those in defined classes, including tenants. Are the present systems actually working for victims, or are the barriers of cost and information too high? If so, what is needed? We have recruited a core group of legal experts, advocates, and residents that will evaluate the present laws and protections from the point of view of access. Commissioners including Matthew Berge, Lerae Kroon, and Dale Mitchell will be joined by Henry Korman, partner at KleinHornig, LLP, Mac McCreight at GBLI, Jonathan Gale, Susan Bonner and others in a brief but intensive effort. We invite the active help and participation of anyone able to contribute their experience and/or expertise. The survey asks about social life in multifamily housing, counts the presence or absence of bullying and healthy community life, asks (without names) who bullies and who works to create an open and friendly environment, and ask about the success or failure of efforts to seek relief from bullying. It is just as important to get information about housing that promotes healthy community life as to learn about the hostile and toxic environments that bullying can create. This survey has already been distributed through DHCD and MassHousing. The Research Committee has worked closely with committee members. The final phase of survey development has been the fruit of an intensive process led by Linn Torto; Cate Mingoya, Laura Taylor, Director, Bureau of Housing Management, with input from Chrystal Kornegay, Undersecretary of Housing and Community Development, and Dave Eng of MassHousing. Michael Kelleher and Vivian Pham of HHS have been essential partners in the design and implementation. Bringing our different perspectives to this work resulted in a survey we all finally agreed on and support. By using online survey technology we have eliminated many of the costly, labor-intensive aspects of survey work, and done our best to design an effective survey and process. The survey will not only provide a glimpse into the distribution of housing developments with bullying and those with healthy community, but can also inform and test our hypotheses about the how and why, the conditions which correlate with bullying. Laura Taylor, Director, Bureau of Housing Management, will share her perspective on this essential aspect of the work of our committee. A second survey is being developed. It will engage professionals who work in area agencies to evaluate the social environment of the housing developments in their catchment area. Examples: senior center, area agency on aging, independent living center, social worker, police, mental health service agency, legal services agency, or even a housing provider/landlord or an off-site manager with several housing developments. The draft of that survey is available for review and comment. This process will engage and take advantage of the network of public and private agencies that serve people in public and subsidized housing developments. And this could be distributed along with a call for these many professionals to spread the word about the main survey and to suggest they offer support and assistance to people in filling out the main survey. We have had input and advice from a number of people with experience and expertise, including tenants; too many to list here, but we could not have made progress without all of them. Paul Votto, President of the National Association of Building Managers; Janice Harper, PhD, an expert on mobbing; Officer Rick Cameron, Peabody Police; and many of my colleagues in the Stop Bullying Coalition, including Jonathan Gale, Lynn Costello, Pamela Goodwin; Jack Cooper, Director, and Susan Bonner, Legislative Chair, Mass Union of Public Housing Tenants; Mary Margaret Moore, former Executive Director of the Independent Living Center of the North Shore and Cape Ann, and tenant officers of the Resident Advisory Board of the Boston Housing Authority, including Betty Raye, Georgia McEaddy, Concetta Paul, Judith Frey, and Marlena Nania. The legislative sponsors of the Commission intended us to work together, and we have done so, and we will continue to do so. The Commissioners and others who have come together here are all hard-working, experienced, and dedicated servants of the Commonwealth, advocates, and tenant leaders. Let us continue the collaboration and work towards our common goal—providing safe housing in a healthy community where the rights of everyone are respected.